Note that to test, do not use the <ul> example in post content. There is a the_content filter which adds line breaks for that. Instead try the markup originally reported in #1304. Then select the amp.zip file to upload and then activate. Please test this on a non-production environment. This looks good. 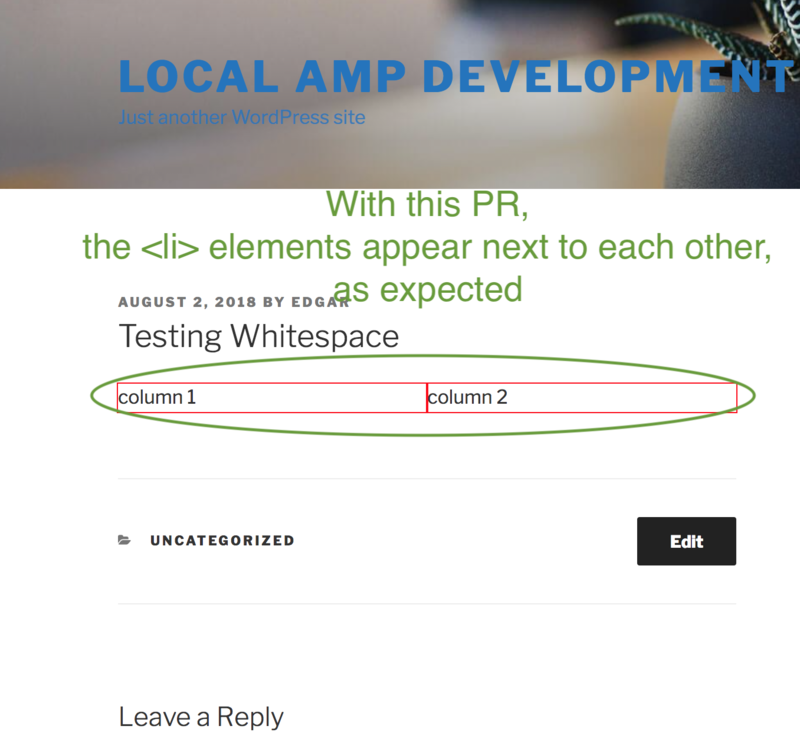 Using your code example, I also saw that this PR fixed the issue of spaces being inserted between tags. 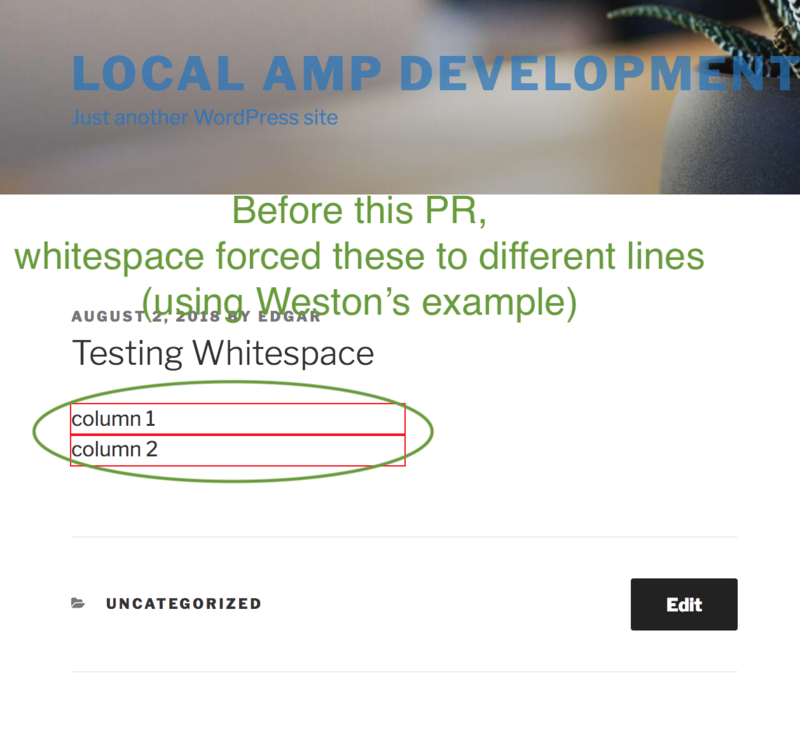 @westonruter Just to confirm in case you missed it in my post - this fixes it all for me both in your plugin and the AMP for WP one too which uses the utils folder in particular - thank you.